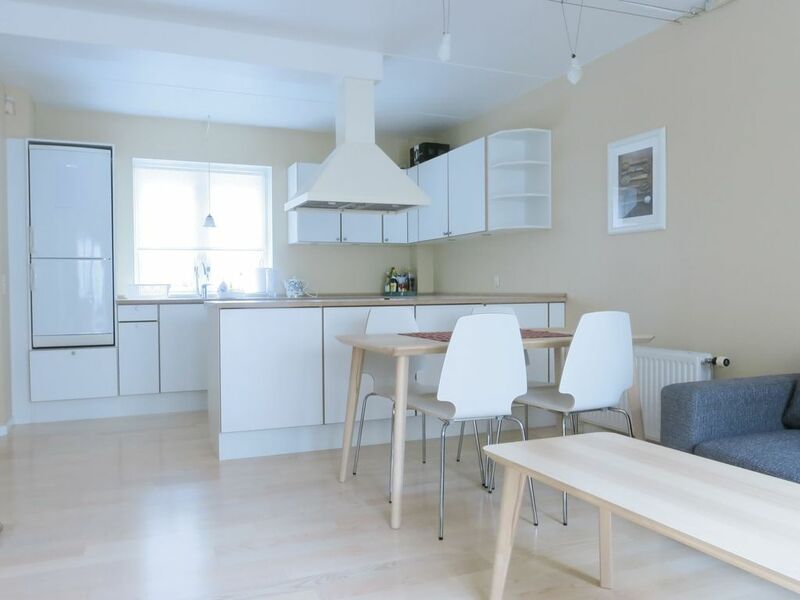 A really cozy and well-located apartment in Frederiksberg close to Copenhagen's lakes, downtown and Tivoli as well as public transportation. Access to a lovely garden and terrace with an awning. The apartment is located on a small, private, one-way street with quiet neighbors. The most famous pizzeria and the local candy shop are right around the corner and if you want to shop locally, it is less than 200 meters to delis, fashion boutiques, cafés and cocktail bars. Only 5 minutes to the Metro station that takes you in just a few minutes to downtown Copenhagen. A 2 minute walk from the apartment takes you to a bus stop and you will be at the Town Square within 15 minutes! The apartment is well-located in relation to bus / train / Metro and close to Tivoli and Copenhagen's lakes. Entrance, combined living room / dining room / kitchen with exit to garden / terrace. Bedroom with double bed 140 x 200 cm. In the living room there is also a sofa bed that 1 person can sleep in. Combined toilet / bathroom with shower. The apartment was nice. It is near of the city centre, you also have some supermarket in the surroundings. It was very clean, cozy and comfortable. The only negative thing is that the lock does not work at all well. An advise: if you are 3, and 3 are tall, the sofa bed is quite small to sleep in. If we return we will repeat without a doubt. We had a very nice stay here! The staff are friendly and helpful, the kitchen is well-equipped, the neighborhood is lovely, and both the metro and supermarkets are within walking distance. Well located apartment. Near the Tram, but tucked away in a quiet neighborhood with good services (coffee shop, groceries, bike rental). Nice private patio for lounging and dining, and comfortable bed and couch/bed in the living room. Only complaint is that It had no coffee pot or machine. Why not add one? Overall a nice place to stay in Copenhagen. I loved the location, and the layout of the apartment was fine, especially the lovely private patio. My only complaint is that there was no ability to make coffee, as there was no coffee maker, Nespresso maching, or other appliance for making coffee. Also, the television was only hooked up to stream off the internet, with no cable or satellite, and I think it should at least have a basic cable hook up. Overall, a nice apartment in a nice location , and well situated to explore Copenhagen from. Beautiful apartment, fully equipped and a big garden to sit out on on a sunny day. Less than 5 minutes walk from Forum metro station and Rema1000 supermarket, so the location is perfect.